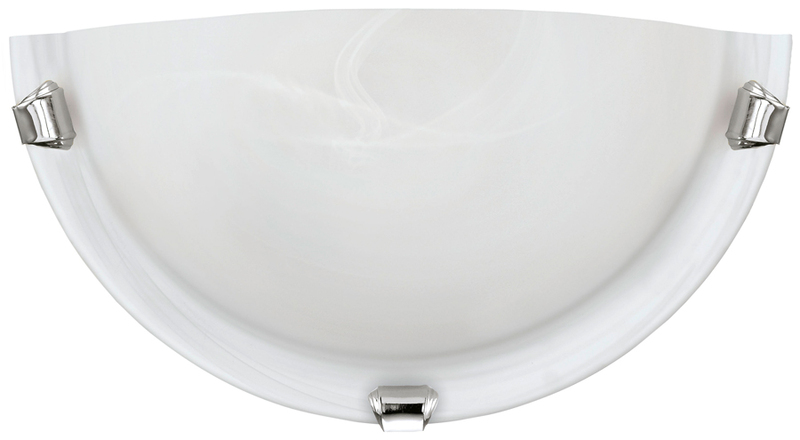 A traditional half round wall washer light in high quality white alabaster glass, with three outer chrome finish shade clasps. A perfect low profile, flush fitting wall light to help elegantly light the sitting room, lounge or bedroom. From the Salome indoor lighting range. Please click here for installation instructions.